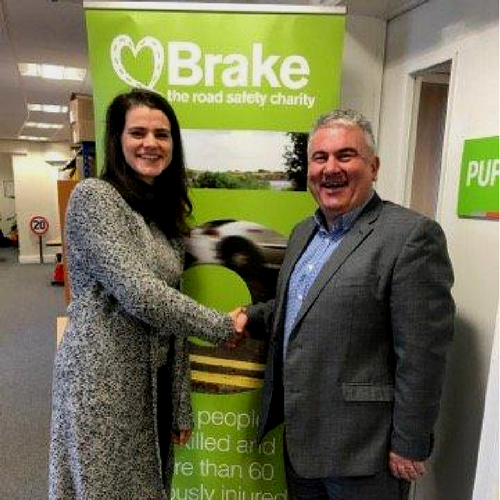 In February, we were delighted to formally announce our partnership with BRAKE, the UK road safety charity. This collaboration has enabled us to work closely with an organisation that has similar synergies and goals to ours in terms of driver safety. BRAKE now supports and recommends our ‘Driver Connect’ solution, as a valuable way in raising awareness amongst at-work drivers across the UK through online micro-learning. Any income generated through this partnership will support BRAKE’s charitable services that support victims bereaved in road crashes. As part of the partnership BRAKE will also contributes educational video content to the Driver Connect library and will also work closely with us to develop new content that is relevant to the transport industry.